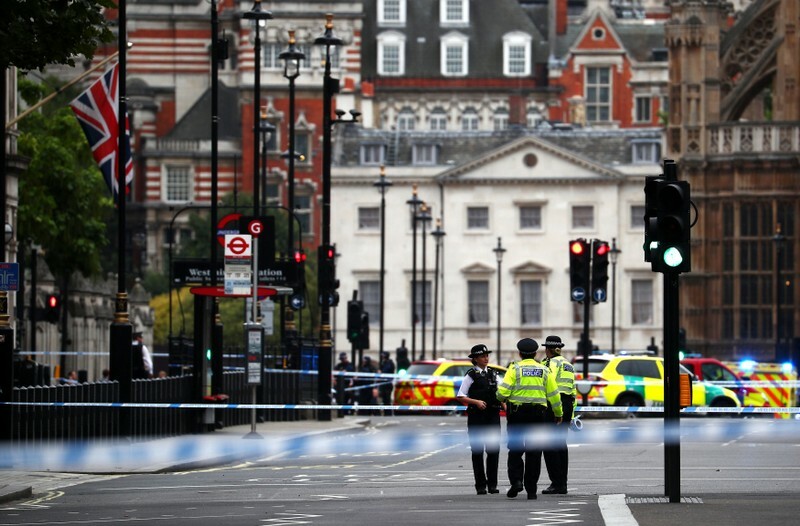 LONDON (Reuters) – Two people were injured when a car drove into security barriers outside the British parliament on Tuesday and the driver was arrested, emergency services said, with counter-terrorism police leading the investigation into the incident. Neither of those hurt were believed to have suffered serious injuries and police said they were trying to piece together what had happened. Witness Jason Williams said the car had struck a barrier on a lane used for access to the parliament building with force. He said he thought it was deliberate. London’s Ambulance Service said it had treated two people for injuries at the scene and they had been taken to hospital. Their injuries were not believed to be serious. Britain is on its second highest threat level of “severe”, meaning an attack by militants is considered highly likely.